1. Place chocolate in a large bowl set over a bain-marie or in a double boiler at a low simmer. 2. Stir chocolate until melted. 3. Turn off the heat and let stand. 4. Beat the cream over ice until it forms soft peaks. 5. Set aside and hold at room temperature. 6. With a mixer, whip egg to soft peaks. 7. Gradually add the sugar and continue whipping until firm. 8. 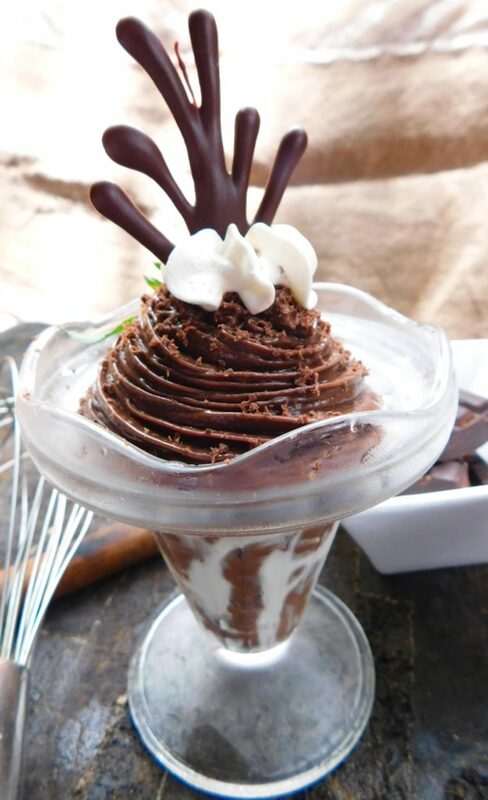 Remove the chocolate from the bain-marie and using a whisk, fold in the egg whites all at once. 9. When the whites are almost completely incorporated, fold in the whipped cream. 10. Cover the mousse and refrigerate for approximately 1 hour or until set.